The Tampa Bay History Center - a Smithsonian Affiliate Museum- features three floors of exhibits exploring 12,000 years of Florida history. Hit the high seas with conquistadors and pirates, stroll the brick streets of Ybor City with Cuban cigar rollers, or saddle up for a cattle drive with Florida pioneers. 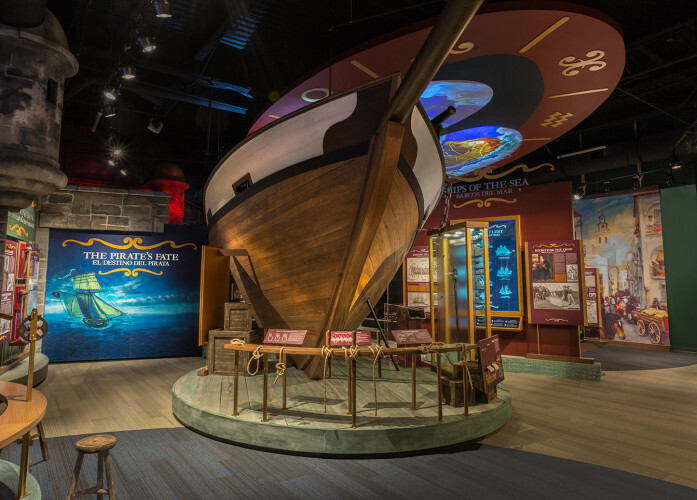 The History Center's hands-on exhibits and immersive theater experiences explore the history and heritage of the Tampa Bay area. The History Center is located along Tampa's Riverwalk and features waterfront dining at the Columbia Cafe and a museum store showcasing local crafts and artwork. 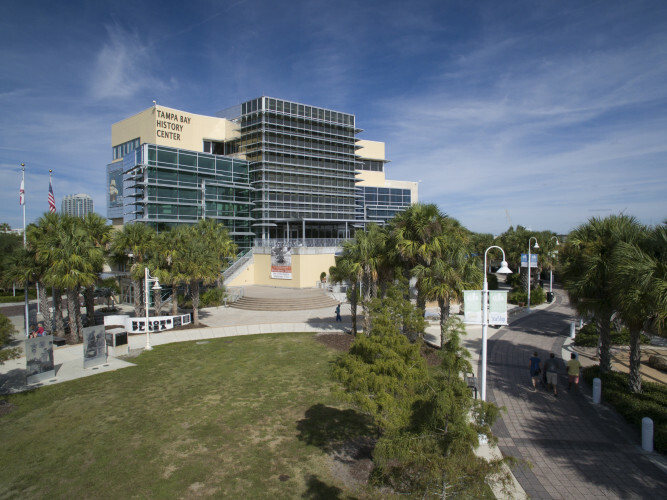 One of Tampa's premier cultural attractions, the History Center's cutting-edge, interactive exhibits provide a fun and educational experience for visitors of all ages. Days/Hours of Operation: The Columbia Cafe at the Tampa Bay History Center is open daily, 11 a.m.-9 p.m. Admission Prices: Tickets: Adults - $14.95; Seniors 60+ - $12.95; Youths 7-17 - $10.95; Students with ID - $10.95; children ages 4-12 - $7.95; Children ages 6 and under - free. School groups of 10 or more - $7 per person; Groups of 10 or more - $10 per person; Military Discount*: $2 off regular Adult admission rate. *Applies to all active and retired military members and their families with military ID. Discount cannot be combined with other offers or promotions. Days/Hours of Operation: Open daily 10am - 5pm. Closed Thanksgiving and Christmas Day.